methods. Many advanced treatment systems use chemical wastewater treatment processes, but physical treatment and biological treatment are also used in some advanced wastewater treatment systems. 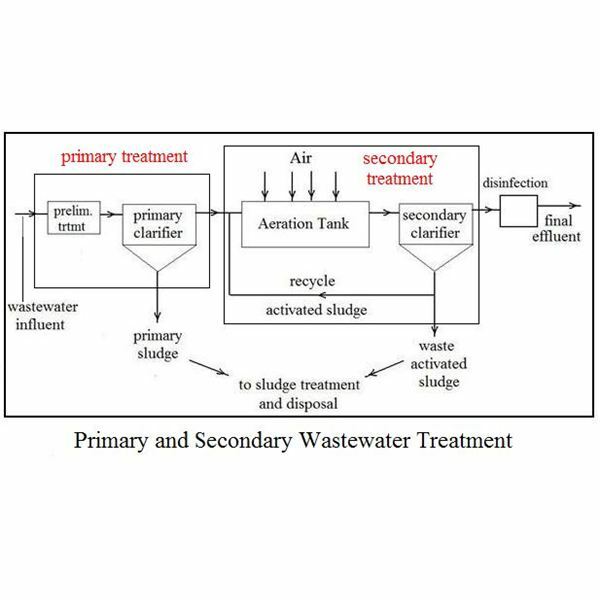 The diagram at the right shows a typical activated sludge wastewater treatment plant flow diagram, with the primary treatment and secondary treatment portions identified.The next few sections of this article will be used to briefly describe these three types of treatment systems: primary waste water treatment, secondary waste water treatment methods and advanced waste water treatment. of a circular clarifier in a wastewater treatment plant. Prior to the primary clarifier in a wastewater treatment plant there will usually be a coarse screening process using a bar screen. If the incoming wastewater contains inorganic grit, then a grit chamber is also used to settle out the denser inorganic suspended solids in order to keep them separate from the biodegradable organic suspended solids removed in the primary clarifier. Prior to the passage of the Clean Water Act in the U.S., many large municipalities adjacent to a large river or an ocean, used only primary wastewater treatment. In 1972, the Clean Water Act set the standard for municipal wastewater treatment in the U.S. at secondary treatment. Over a period of years, the many large primary wastewater treatment plants were upgraded to provide secondary wastewater treatment. oxygen demand (BOD), is a measure of the amount of oxygen needed to oxidize organic matter in a water sample. It is thus an indirect measure of the pollution of water by waste organic matter. See the article ‘Biochemical Oxygen Demand as a Measure of Organic Pollution of Water‘ for more details about BOD. There are several different approaches to biological wastewater treatment. The most commonly used are activated sludge, trickling filter and stabilization pond treatment systems. Each of these function by bringing aerobic microorganisms, organic matter in wastewater, and dissolved oxygen together. The biological oxidation of the waste organic matter then takes place naturally in the wastewater treatment system rather than in the river, lake or stream, as it would if the waste organic matter were dumped there. 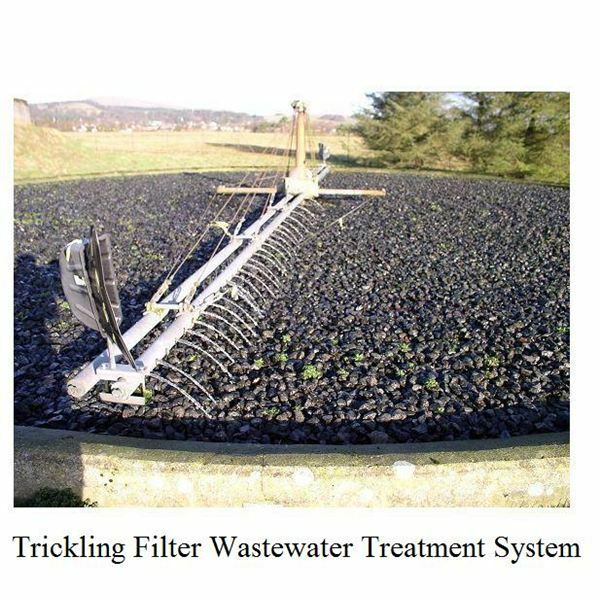 The picture at the left shows a trickling filter biological treatment process, which uses a bed of rocks to facilitate contact among the aerobic bacteria, organic matter in wastewater and oxygen. In order to meet the U.S. EPA definition of secondary treatment, a wastewater treatment plant must produce an effluent with suspended solids level below 20 mg/L and BOD below 20 mg/L. 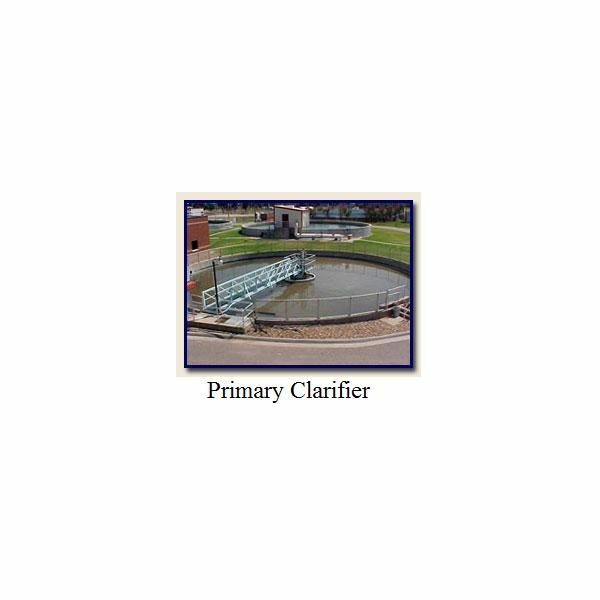 Advanced wastewater treatment can’t be summarized quite as neatly and concisely as primary and secondary wastewater treatment. Tertiary treatment isn’t needed at all wastewater treatment plants, and where it is needed, it may be quite different from one plant to another, depending upon the type of water contamination that must be removed. Some of the common advanced wastewater treatment processes are nutrient (phosphorus and/or nitrogen) removal, additional removal of organic matter and suspended solids (below the secondary treatment level), and removal of toxic materials. Most of the tertiary treatment processes are a combination of chemical and physical treatment, called physical-chemical treatment, although there are biological treatment options for removal of both phosphorus and nitrogen. Discussion of situations that give rise to the need for advanced wastewater treatment and description and discussion of tertiary treatment processes will require another article or two. 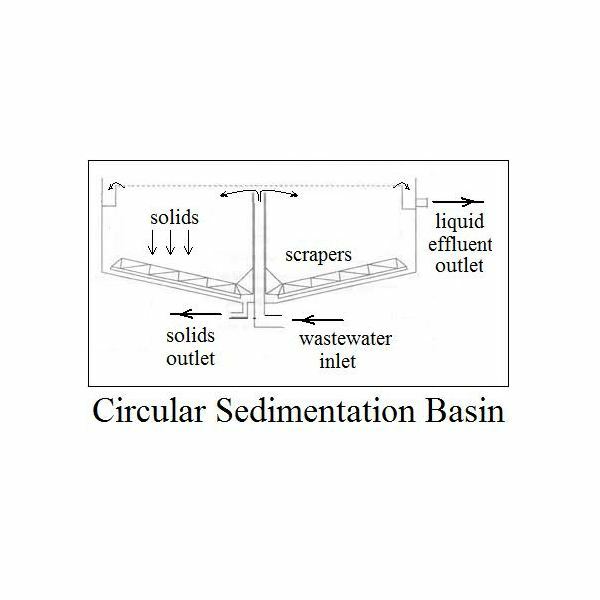 Primary wastewater treatment uses the physical process of sedimentation to remove settleable suspended solids from wastewater. Secondary wastewater treatment uses biological treatment to remove dissolved and fine suspended organic matter from wastewater. Advanced wastewater treatment may use biological or physical-chemical treatment processes to remove water contaminants not removed by primary and secondary treatment, such as nutrients, toxic materials or additional suspended solids and BOD removal. 1. Metcalf & Eddy, Inc, (revised by Tchobanoglous, G, Burton, F.L., Stensel, H.D., Wastewater Engineering Treatment and Reuse, 4th Edition, New York, NY, 2003. 2. Grady, C.P.L., Daigger, G.T., Lim, H.C., Biological Wastewater Treatment, 2nd Edition, New York, NY, Marcel Dekker, Inc., 1999. 3. Vesilind, P.A. and Morgan, S.M., Introduction to Environmental Engineering, 2nd Edition, Belmont, CA, Brooks/Cole, 2004. This series will provide information on wastewater treatment, its processes, and the specific methods used at wastewater treatment plants to remove pollutants from the water.